An afternoon with friends having fun learning the basic steps of 18th-century group dances, such as minuets and cotillon, taught by our dance teachers accompanied by music of a trio of classical musicians. Hot chocolate and Venetian pastries will be served in the historic Palazzo Dandolo, located near the Harry's Bar and St. Mark's Square. 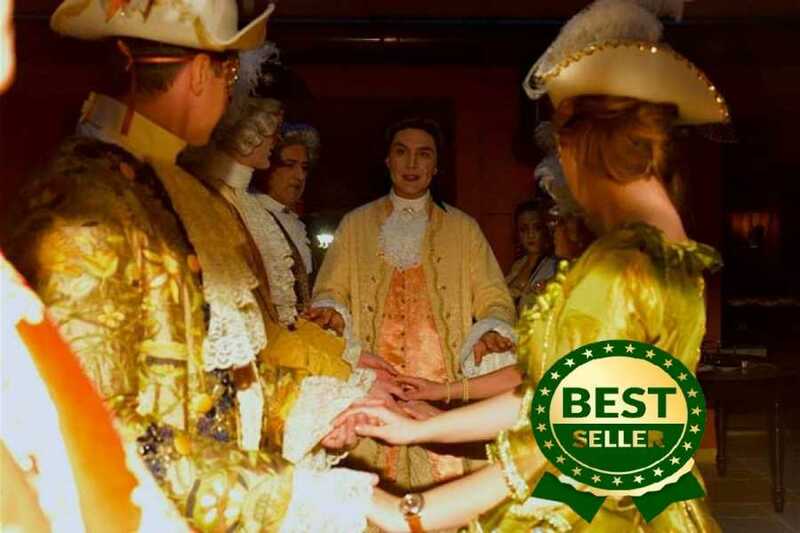 The clients will be able to rent the costumes from our atelier and prices indicated here don't include the cost of the costume; if you are interested please apply at service@venicecitytours.it. We suggest to make an appointment for the fitting. If you want to know our payment and cancellation policies click here.